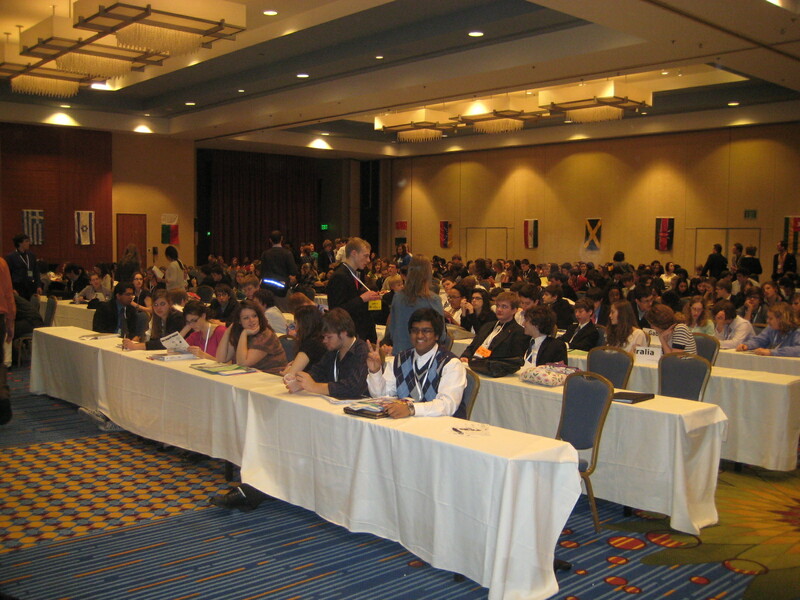 Day two of the Model United Nations was pretty productive. The debates lasted hours, permeated by countless caucuses and the surprisingly infrequent motion to recess. Topics ranged from human cloning to border disputes. As votes were counted and working papers passed, resolutions made their way from individual committees to the General Assembly, the largest and organ of the United Nations. I was an ambassador for Haiti, and served on the Social, Humanitarian, and Cultural Committee. Alongside representatives from the United States, the Russian Federation, Germany, Thailand, Israel, Mauritius, and other nations, I had the opportunity to draft resolutions regarding the distribution of genetically modified foods and international surrogacy. The debates got heated sometimes, but were fun throughout. Thanks to fellow diplomats from other countries, I was introduced to many thought-provoking perspectives, some of which I would’ve never thought of myself. It was satisfying to see our GMO resolution pass muster—and a popular vote—especially because many of them were killed after being argued. After the session adjourned, us diplomats hit the dance floor…in the same ballroom where we had debated furiously less than an hour earlier. The last session of General Assembly was held the following morning, today. As the final resolutions were passed, the last amendments ratified, and the final votes counted, I caught myself thinking about how quickly it had all seemed to go by. 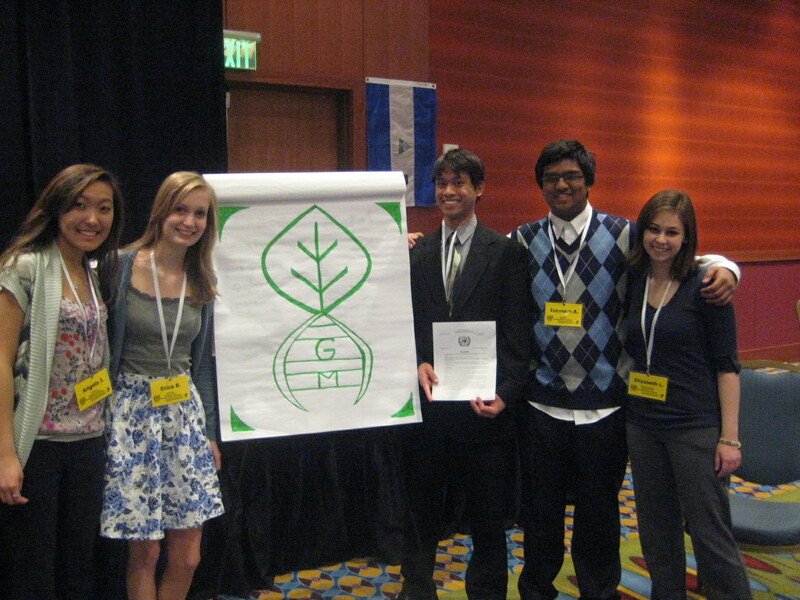 Tomorrow marks the beginning of another formal affair: the Minnesota State Science Fair. By the end of this weekend, I will have stayed in two hotels, passed two resolutions, slept for zero hours, and spoken in front of at least a thousand people. It’s draining and energizing at the same time. You are a very eloquent speaker and writer. Also, I miss you and MUN. Oh, and another thing; you forgot to mention our evil chair and her backstabbing ways. I miss you too! 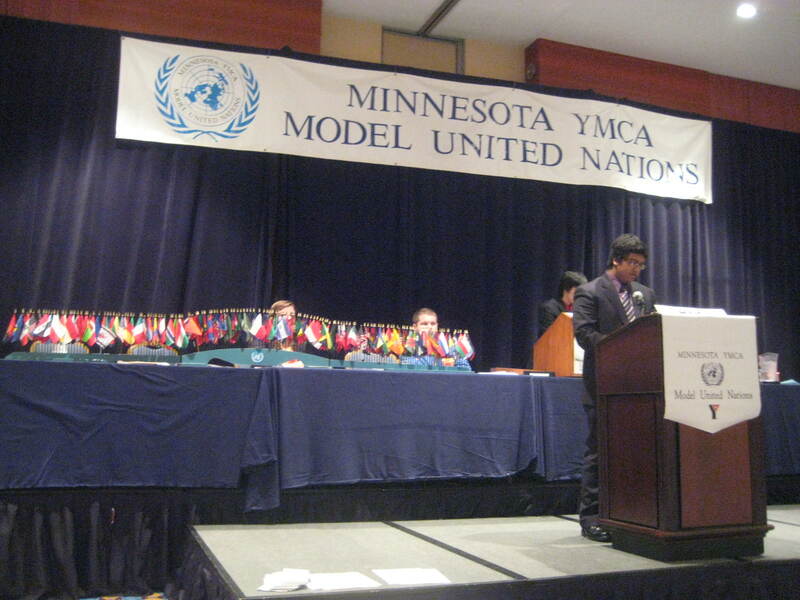 MUN was awesome. Hah! Micaela, betraying us and expecting votes? Not gonna happen.